Pete and I are visiting Orange this weekend as part of the annual F.O.O.D week celebrations. Orange is one of our favourite NSW getaways and we visit often. Home to some fabulous food and wine, it's a great place to visit for a relaxing weekend away from Sydney. 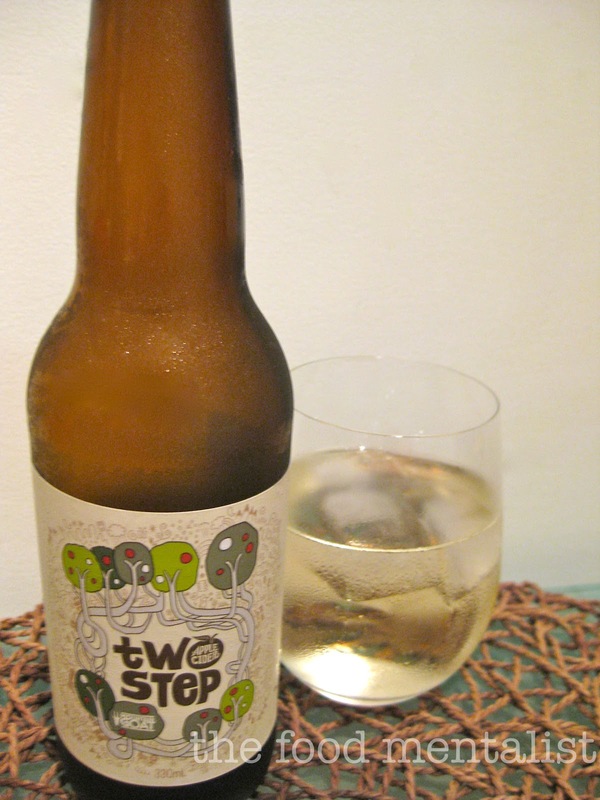 This week's cider is Two Step Apple Cider. Don't you just LOVE the label?! 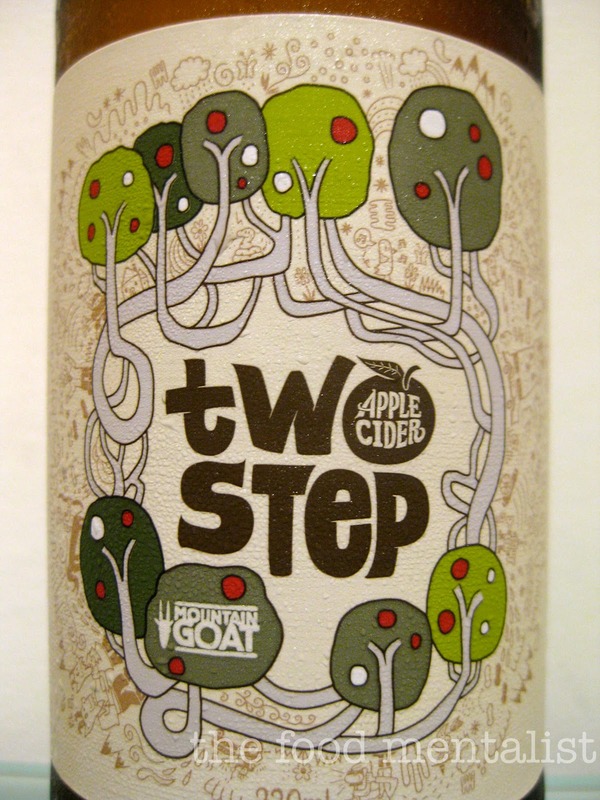 Produced by microbrewery Mountain Goat in Victoria, this cider is very new to the market. 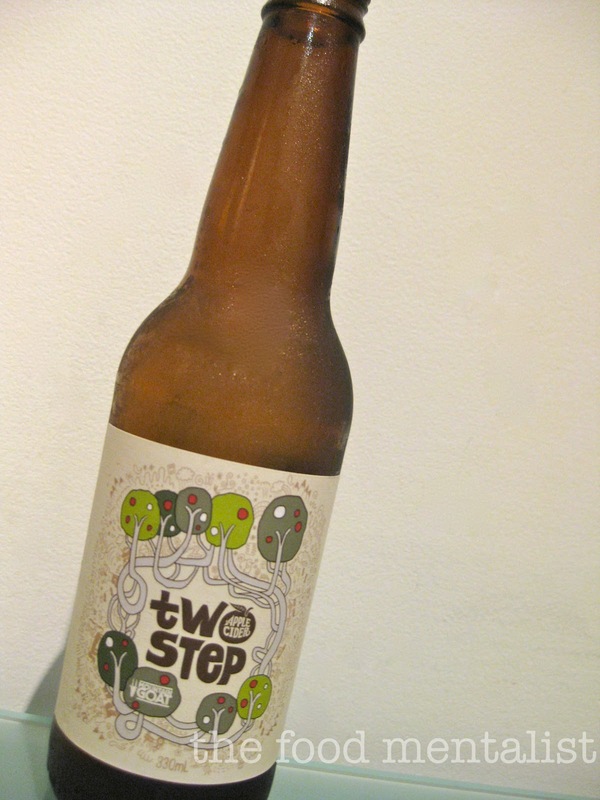 Production began in 2011 under the Two Step brand and it entered the market this year. Mountain Goat have successfully carved out a niche for themselves within the boutique beer industry in Australia, and have won awards for their Surefoot Stout and Rapunzel lines. What I love about Mountain Goat is that they employ sustainable practices to reduce their impact on the environment. They utilise solar power and rainwater tanks, have dramatically reduced odor and steam emissions and have even implemented a generous bonus system for staff who cycle to work. Love it! Made with slow pressed apples, this sparkling cider does not contain any added sugar or concentrates. It has a balanced sweetness with medium beer-like yeasty tones. With this one, I found that the flavours were muted by the addition of ice and I prefer it without. Overall, it's a great entry level, easy to drink cider. At 5% alcohol, 330ml bottle will provide you with 1.3 standard drinks. Mountain Goat product lines are available at Dan Murphy's & Vintage Cellars. I haven't drank cider since Scrumpy Jack teenage days! I know there are boutique ciders on the market these days ... but i have some bad hangover memories to fight through first. Thanks for sharing. You've encouraged me to give cider another go! Have you been to Small Acres Cyder? Is it just me or do ciders have the BEST labels?? I'd try some of these ciders just to buy the pretty bottles. Luckily, many of the ones you recommend are also super yum! Anna, Yes I actually visited Small Acres Cider a few years ago when they first opened and we also attended a degustation dinner and cider making class there on the weekend. Great cider!!!! !